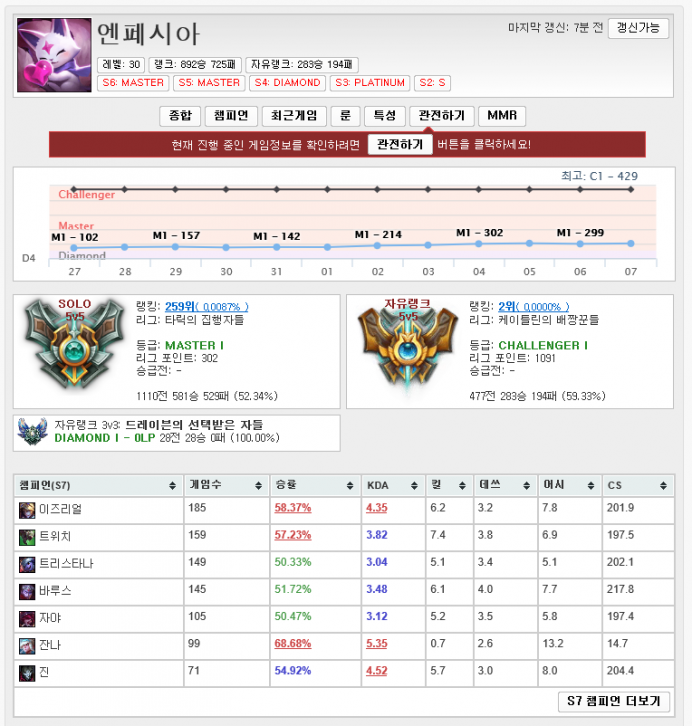 Hi, I’m a well-known guide-writer in Korea for ADC champions, Enpesia. This will be a short but clean guide for Varus, a champion that has been rising in popularity recently. Comet Varus has become obsolete, so I’ll only be covering Rageblade Varus. Due to having to build first, Varus’ lane sustain will take a big hit. So Fleet Footwork is the best choice. As an ADC that deals a high amount of magic damage, Varus’ lifesteal from the Bloodline rune is minimal. So it’s advised to take Legend: Alacrity instead, especially since it synergizes well with Varus’ passives. 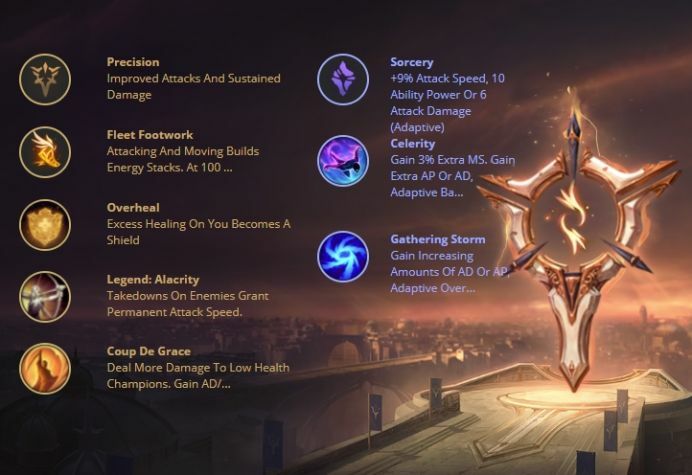 For the secondary runes, Celerity and Gathering Storm are the most optimal. But remember that you can take whatever depending on your preference. These two spells are THE BEST spells for any ADC champion. It’s the safest set of spells that also allows you to play aggressively during the laning phase. If you have a or support, taking while the support takes is also a good choice. When you put in about 4 points into , you’ll have your Guinsoo ready. Therefore, start leveling your . In addition, if you and your lane opponent aren’t actively trading, putting two points into at level 3 is also advised. - Even if you land an auto attack AFTER landing your , it’ll still trigger the percent HP damage (There is a 0.5-second opening). - Your ultimate’s range is longer than you’d expect. I recommend you aim carefully without smart casting when using it. - After the nerf to , it’s recommended that you use it carefully, as the cooldown on it has increased dramatically. Build as your first core item. After building your 1st core, build next, depending on the situation. Most of the time, I end up building as the 2nd or 3rd core item, as it synergizes very well with . For the 4th and 5th core, I often build and/or . -In the early game, make quick trades by landing an Auto- combo. -If you overextend trying to trade, the enemy jungler will take notice and start targeting the botlane. In that case, have your jungler ready for a counter gank and/or secure around the lane. -To Varus, Guinsoo is a very efficient item. I believe that the item will remain popular on Varus for a long time. -I tried building the classic ADC CRIT build on Varus, but he ended up being weaker than most other ADCs.